This introductory article describes how to define the basic settings for a Dataset sources from Tableau. Data Source: Metric Insights must have a working data source connection to Tableau. 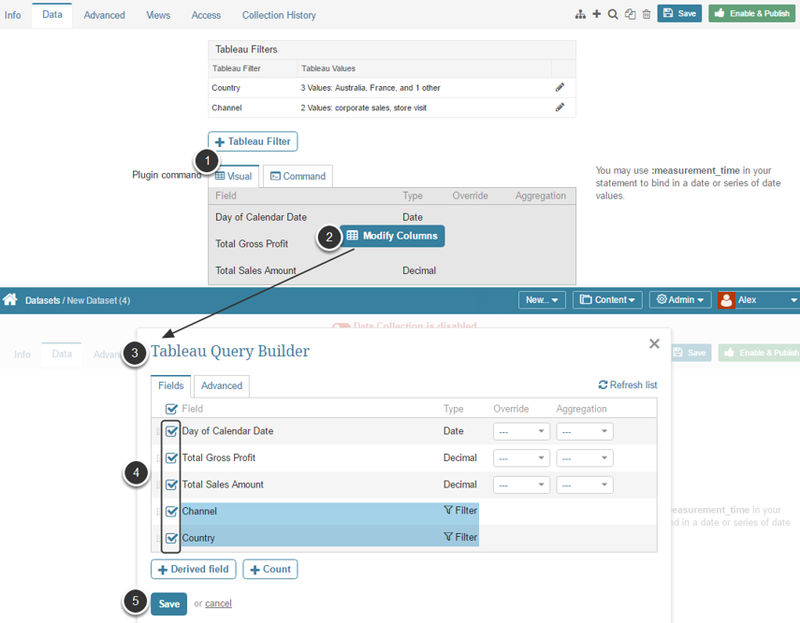 If you have not yet configured a data source connection, see How to collect data from Tableau. 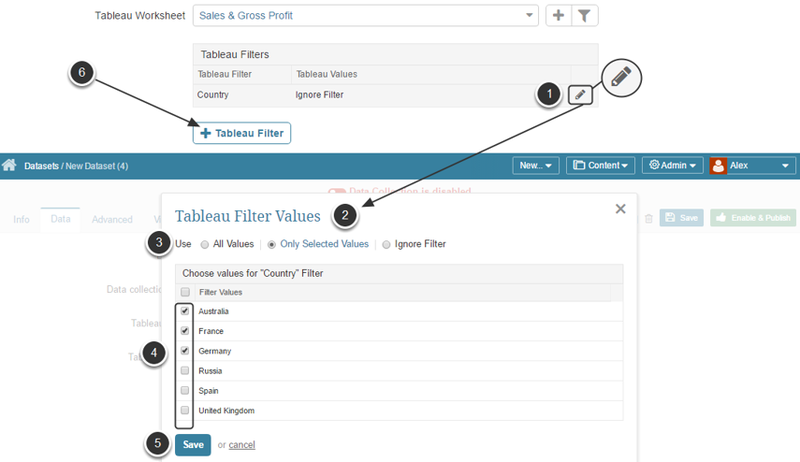 Available filters: You can dimension elements sourced from Tableau by these filters. You can also include some of these filter values into your fetch command, so that MI loads data selectively, choosing only the values you really need instead of fetching all the data from this report. 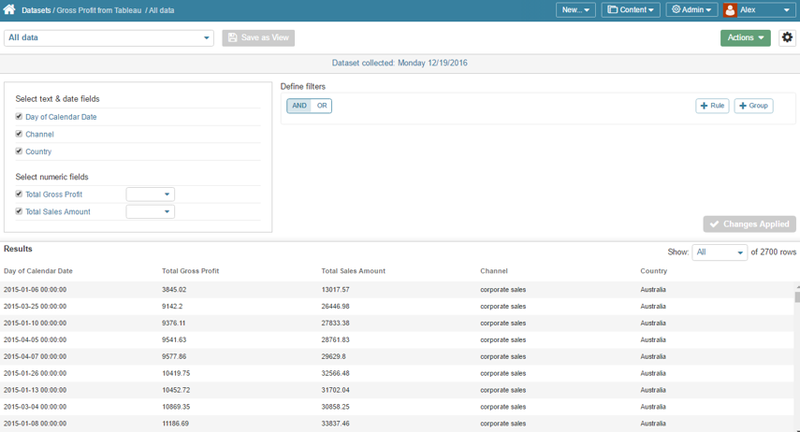 This page is going to be either empty or display the list of Datasets previously created in the system. At the bottom of the page click [+ New dataset]. Move to the Data tab to define Tableau as the source of data and how often it should be updated. Set the Data Collection Trigger which is going to initiate updating information in a Metric or Dimension Values. If there is no option matching your requirements, scroll down to the bottom of the drop-down list and click Add New Data Collection Trigger. 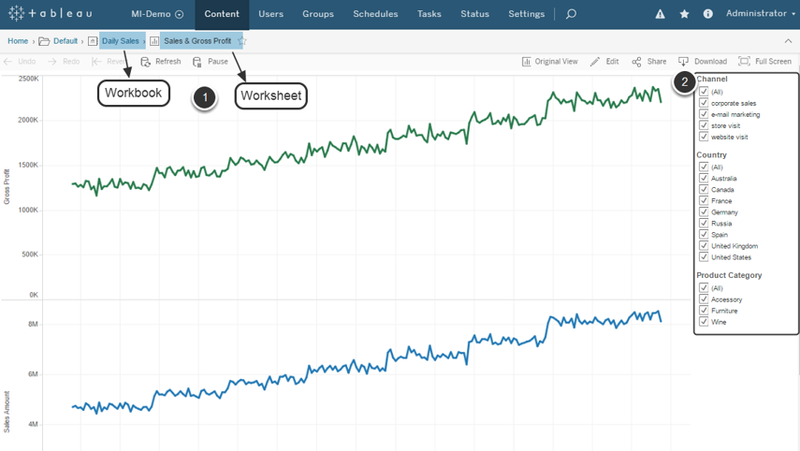 Select the Tableau Workbook and Worksheet from the respective drop-down lists. In case you need to include only certain values, select them in the list. In the Plugin command box choose the Visual Editor option. In the Plugin command box choose the Command option. If you constructed the command via the Visual Editor, the command is going to be automatically validated after you Save your selection of parameters. If you entered the command manually, click Validate below the text box to verify that your SQL statement is valid.